Folks over at TechPowerUP have been able to confirm the difference between Turing GPU variants. This is something that we have been discussing for a while, ever since the first disassembly was made at GeForce event in Cologne. What does the A stand for in GPU codenames? Is it an indicator that new smaller node will be implemented in the future (B-variants), or is this something else? 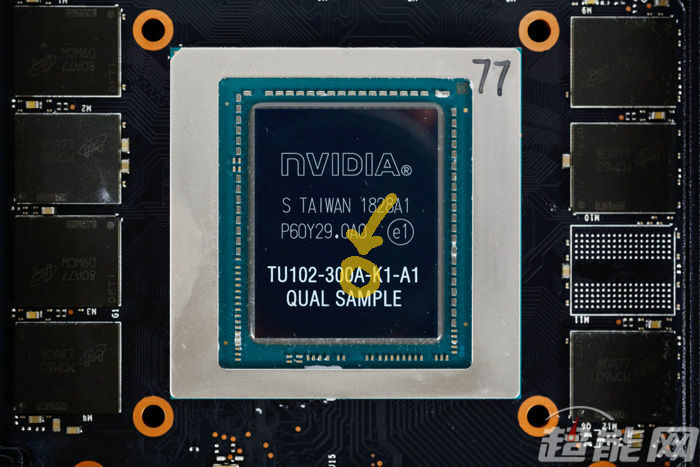 According to TPU sources, the A variants (such as TU102-300A) are meant for higher-spec models, such as factory-overclocked STRIX, GAMING X TRIO or even Founders Edition cards. Meanwhile, the TU102-300 (non-A) variants are meant for non-overclocked models (think of ASUS TURBO). What this means is that non-A variants cannot be factory-overclocked by Add-in-Board partners. This means that A variants are pre-binned for higher specs, better overclocking, power efficiency and such.